Consumers are not typically known for having the greatest amount of patience, just ask any retail employee that has worked on Black Friday. Today, e-commerce consumers are expecting a quick and easy shopping experience that results in their product being placed at their doorstep in a timely fashion with no delays. 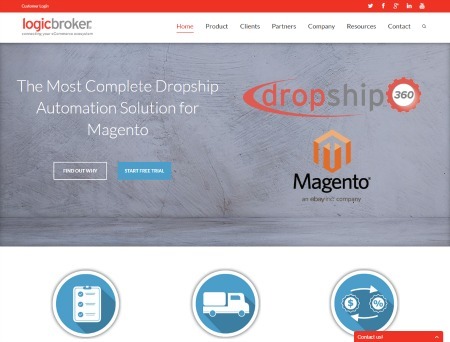 Logicbroker, a provider of cloud-based e-commerce integrations, has recently announced the release of its newest extension for Magento users called dropship360. The new extension enables merchants to quicken the order fulfillment phase by eliminating the need for them to manually process orders or reenter vital order information. Through dropship360 merchants can directly communicate with trading partners through a number of methods including API or the Logicbroker web portal. Also, dropship360 enables merchants to quickly add and rank vendors as well as view vendor inventory as well as manage Magento scheduled tasks.